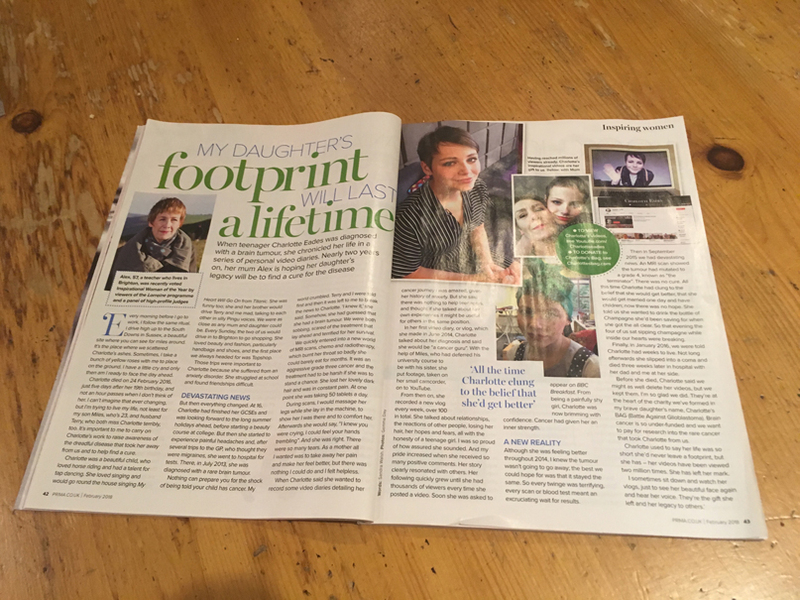 Following on from Alex’ Inspirational Woman of the Year Award back in October, she and Charlotte’s BAG appeared in Good Housekeeping’s December issue, and this double page feature appeared in the February 2018 issue of Prima. Prima is still available to buy now, so if you would like a read head to your nearest news aisle! The combined readership of both magazines is almost 700,000, so Charlotte’s legacy in helping us build awareness of glioblastoma is certainly alive and kicking!